Voted St. Joseph’s favorite antique mall three years running! 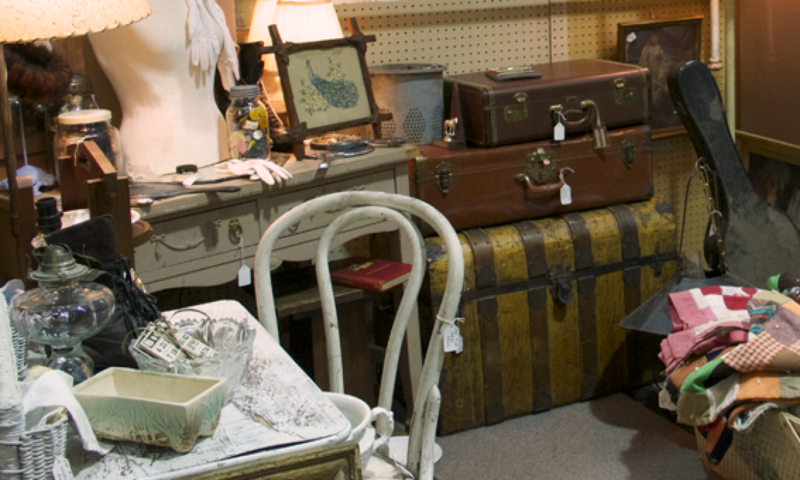 With over 110 booths, 160 showcases, and 40 small shelving areas throughout two large rooms, we are one of the region’s largest antique malls. You’re sure to find that treasure you are hunting for. Be prepared to spend some time with us browsing through all the items our dealers have to offer and if you need to take break, sit down for a spell and enjoy a cup of coffee back in the coffee corner. We carry Howard products, Briwax, and Kramer’s Antique Improver for all your furniture care needs. We have new items added daily, so you will want to make us one of your regular stops on your antiquing adventures.